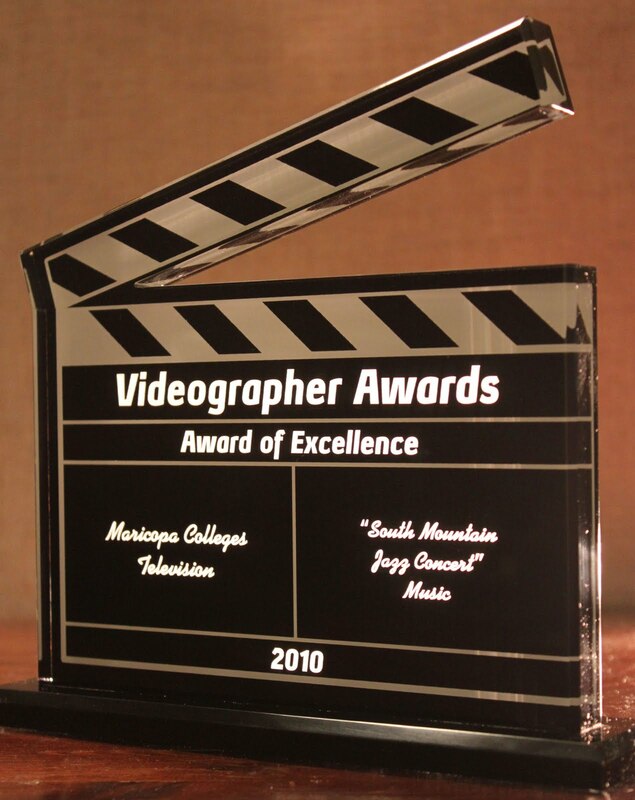 The dedication, creativity and hard work of the staff at Maricopa Colleges Television (MCTV) was recently recognized by receiving four Telly Awards, seven Videographer Awards and a Summit Award. MCTV serves the greater Phoenix area through production and broadcast of original programing which highlights the programs and activities of the ten colleges within the Maricopa Community College District and is supported by Rio Salado College. “MCTV produces original programs for community members across the Valley. Many who are considering a career-changing decision, are looking to reinvent, retool or reconnect or someone who is about to exit high school and is looking for real, viable educational options,” said René Blatte, director of MCTV. MCTV programming can be viewed on Cox Cable Channel 115. MCTV’s Maricopa Now !,and Inside Maricopa Sports can be viewed on Cox Channel 11 city channels throughout Maricopa County. “Producing meaningful television programs takes hard work and dedication. It is very rewarding to receive peer recognition of the hard work MCTV team members are committed to providing each day,” said Blatte. This year’s 32nd Annual Telly Awards received more than 13,000 entries from all 50 states and 5 continents. The Telly Awards is the premier award honoring the best work of the most respected advertising agencies, production companies, television stations, cable operators and corporate video departments in the world. 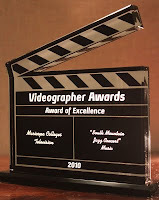 The Videographer Award is in its 15th year and is an international competition designed to recognize excellence in video productions, TV commercials/ news/ programs and new media. The organization is administered by the Association of Marketing and Communication Professionals, an international organization that recognizes talent that sets benchmarks for the industry and exceeds a high standard of excellence. Awards of Excellence, Distinction and Honorable Mention are awarded on a competitive basis. The Summit International Awards are dedicated to furthering excellence in the communications industry. MCTV received a bronze award in the Summit Creative Award competition for the Maricopa Now! May 2010 Edition.